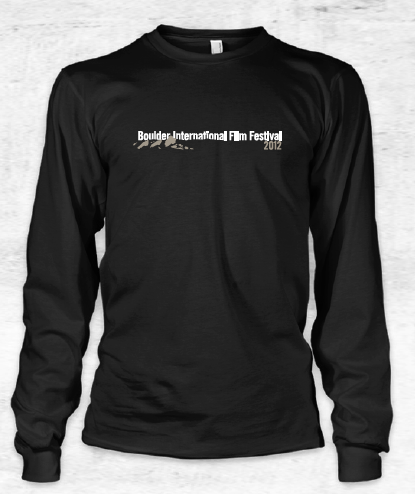 Boulder International Film Festival: Merch madness at BIFF 2012! Cool. Classy. Comfortable. 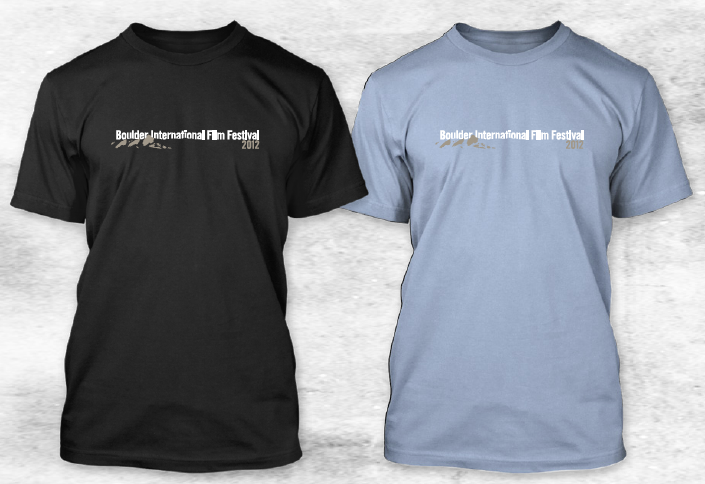 Who wants their BIFFwear for 2012? The emphasis this year is on the classy -- check out these delicately shaded T-shirts! We are glad to present the work of Anvil Knitwear yet again, happy to get our logos on their fine, quality product. Aaaannd -- we have ballcaps, with and without those wonderful "hattails" that prevent flyaway headgear, and totes as well. 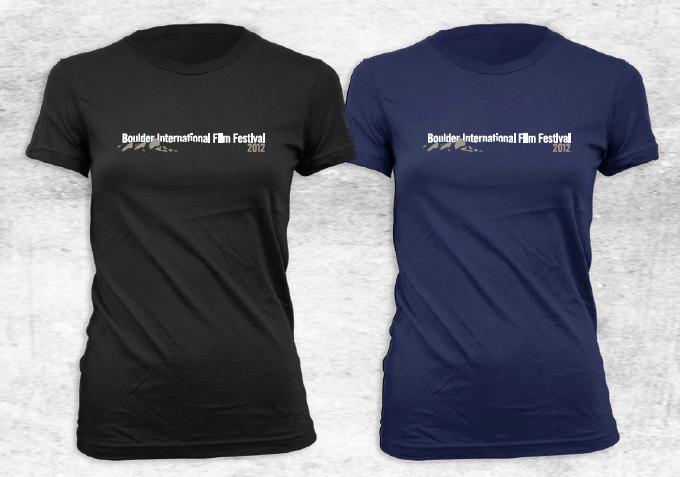 These items can be found and purchased this year ONLY at the Boulder Theater and at the Tent on the Pearl Street Mall, between 13th and 14th Streets (you can't miss it . . . it's the only big giant tent out there this weekend). AND we have discounts for VIP passholders! So make a statement. That statement is, "I rock. BIFF rocks. And I'm rockin' this shirt with my hot bod." Yeah.